Direct Films Production is a multitalented self-directed business which was founded by John in 2017. Direct Films productions specializes in producing films but have different areas of the business which specialize on various content in the media industry. John’s Photography focuses providing quality street, studio, events, wedding photography, whether it be portrait or full body, studio shots, followed by 2 retouched image free. 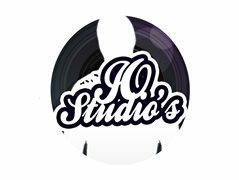 Jo Studios specializes in Fashion Stories but also produces Music Video, Interviews, Dance Videos, providing a range of different media in the industry, aiming to go above and beyond for all our clients. Fashion Story you ask is a video content which portrays a real life issue, whether it be good or bad, giving the model the opportunity to not only look good but show of her acting skills aswell. For this Production the model has just come from a meeting and is getting ready to go out with friends.